In the latest issue of The International Forecaster, Vincent Finelli comments on the drought in the midwest. for our livestock are completely dry or drying up. Vibrant streams and creeks have disappeared. Springs that have provided clean fresh water for both man and animals for generations have stopped. The hay production this year was 25% of last year's. Normally farmers are able to cut and bale hay twice per season. It is necessary to feed cattle over the winter when the grass stops growing or is covered with snow. For most farmers, there will be no significant second cutting and baling of hay this year. That means the hay supply for the year will be about 12% of what it was last year. Farmers are selling their herds at fire sale prices – at prices that are about half of what they were four months ago. This rush to sell herds is because they cannot feed them. With only a 25% hay crop, and no green grass for grazing, farmers have used much of their winter supply already to keep their cattle alive. Become My Own "Central Bank?" How Can I Do That? Is becoming your own "Central Bank" the only safe way to save your wealth? With all the financial problems and corruption in the world, many are looking to safely diversify their assets outside the banking system. The big question is, HOW? With the recent LIBOR scandal, MF Global and now HSBC Bank, many are concerned about "return of capital" not "return on capital." So where can one safely store their money outside the banking system and still remain fully liquid if necessary? In a country that has one of the most stable governments and in the world, Canada. Yes, you can become your own "Central Bank" in Canada and have your gold and silver stored in a fully insured vault outside the banking system. 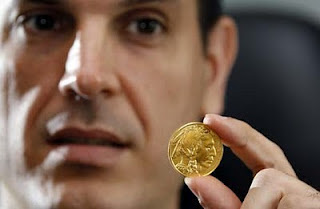 As a matter of fact you can diversify your assets around the world and store gold and silver in many different countries like Hong Kong, Switzerland or Israel. The choice is yours to decide. The solution is ours to design. With over 50 years in secure logistics, our vault solutions provider can design a solution to meet your specific needs. The purpose of our one-of-a-kind U-Vault Account is to address the concerns that many have with owning physical gold or silver bullion. 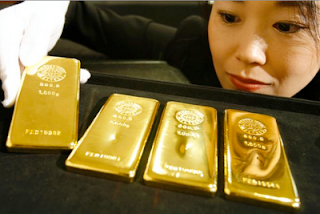 The risk of prices is not the only consideration when it comes to owning gold bullion, but the security risk must also be considered. 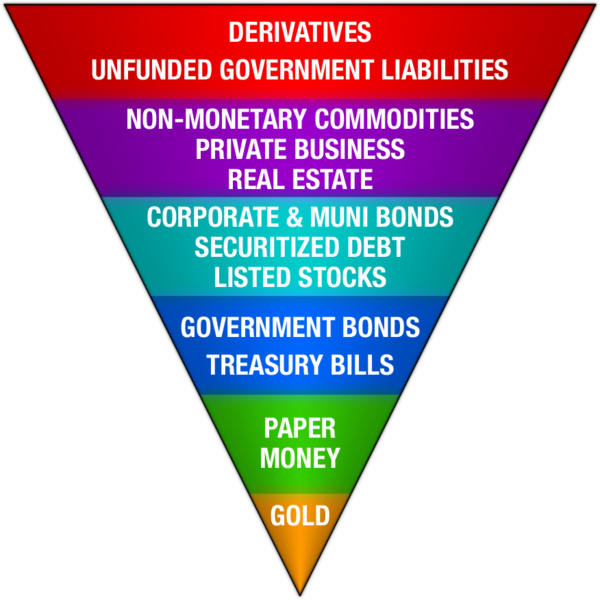 There are many ways to invest in gold, but very few that offer no counter-party risk and a fully insured start to finish process. Paper gold investments are fine as long as the institution is solvent and the physical gold is fully insured and accounted for. We urge people to review the prospectus of any paper gold holdings you might have and be sure to read the fine print, because you may find that things are not always what they seem? Police in Central China's Henan province rounded up 33 people suspected of illegal gold-futures trading in a case involving more than 5,000 investors and at least 380 billion yuan($59.62 billion). It has been two years since we were interviewed by the Windsor Star about our business, and I would just like to re-cap on a few points from the article, "Investor Stakes Life on Gold." Gold was trading in the $1,200/oz range back then and hit a high of $1,925/oz in 2011 and is now trading in the $1,580/oz range. The bullish trend is still in tact. Our business has grown by many multiples since 2010 and we expect continued growth in the years ahead. We have introduced new services like the "U-Vault Account" and a successful radio show, "Gold Radio Cafe." Generally speaking equity markets have returned 3-4% since July 2011 and gold has returned over 30%. Political, financial and economic conditions around the world are worse now than in 2011, which builds the case for much higher gold prices in the near future. We are facing a period in history where the entire monetary system is changing and gold will be the ultimate store of value and safety, as it has always been in troubled times. Thank you for your continued support to all my valued customers. Today, another client picked-up their gold successfully in the Hong Kong vault. It was shipped fully insured and secure from Toronto, Canada. The period of seasonal strength for gold bullion is approaching. Thackray’s 2012 Investor’s Guide notes that the optimal time to invest in gold bullion for a seasonal trade is from July 12 to Oct. 9. The trade has been profitable during 11 of the past 14 periods. During the past 25 periods, gold bullion has outperformed the S&P 500 Index by 4.7 per cent per period.